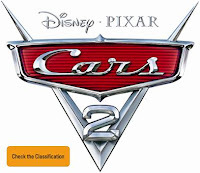 Movie News - Cars 2!!! The good people at Disney have sent us a clip of next years Cars 2! I get excited for any Pixar movies but this one looks like a cracker! Cars 2 goes global next year in a tale of international espionage featuring lovable tow truck Mater—yes Mater—as a secret agent……or not. But DisneyŸPixar did reveal new cast members slated to lend their voices to the animated fish-out-of-water comedy, which hits the big screen next June. Joining the voice cast are Michael Caine (“Inception,” “Dark Knight”) as seasoned spy Finn McMissile, Emily Mortimer (“Shutter Island,” “Harry Brown”) as spy-in-training Holley Shiftwell, Jason Isaacs (“Harry Potter” films) as spy jet Siddeley, Joe Mantegna (TV’s “Criminal Minds”) as Grem, Peter Jacobson (TV’s “House M.D.”) as Acer, and Thomas Kretschmann (“King Kong,” “The Young Victoria”) as Professor Z. Owen Wilson and Larry the Cable Guy return as the voices of Lightning McQueen and Mater.